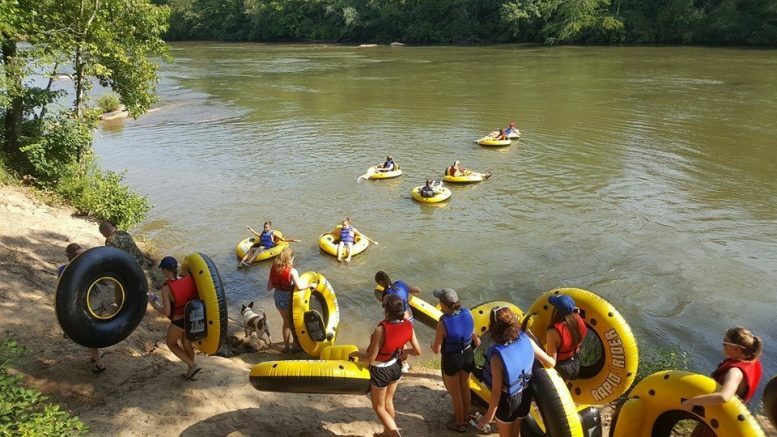 On Saturday, August 27, bad weather created problems for 30 students who went on a Campus Recreational tubing trip down the Broad River. 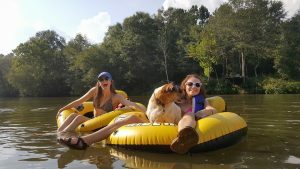 Students left Tucker Student Center around 3 p.m. and arrived at an ATV parking lot, where they inflated their tubes and began floating along the river. For the first hour of the trip students enjoyed pleasant weather and each other’s company. Even a dog, which some of the students affectionately named ‘Bagel’, joined in on the fun. However, the sky soon began to darken, and lightening could be seen off in the distance. “The chance for lightening was really low that day, and this freak storm came out of nowhere,” remarked Shelli Henry, the Assistant Director for Campus Recreation and leader of the trip. In order to make sure all the students were safe, Henry quickly instructed everyone to get out of the water. However, three students ended up on the opposite side of the river, away from the rest of the group. “We told them what road we were on,” said Jake Kennedy, one of the three students who were separated. Then both groups followed paths next to the river in order to wait out the storm. 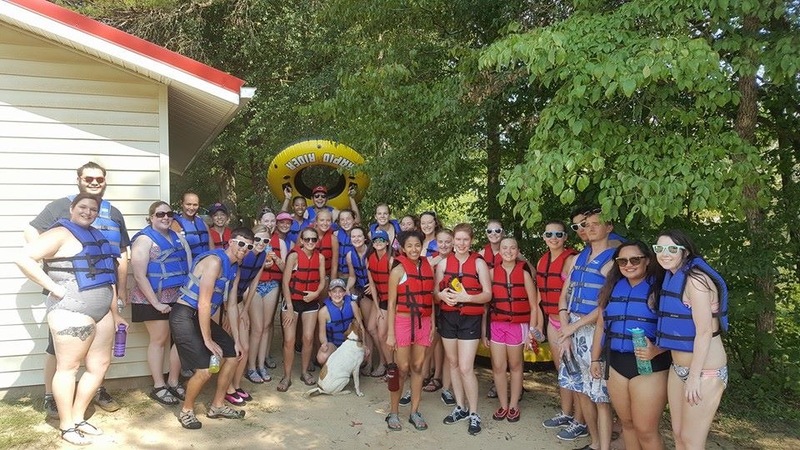 “All of us [were] in sandals and water shoes, and it [was] all muddy and nasty,” said Jen Guberman, a junior who attended the trip. Henry, a certified EMT took up the rear end of her group, so she could easily treat someone if they were injured. “At some point I think we took a wrong turn and [didn’t] realize it,” she said. One student on the trip remarked that there were over 40 miles of trails to get lost in. Rachel White, another tubing participant, also noted that the river had flooded onto the trail, which made it difficult to navigate. In attempt to correct their course, Henry tracked overhead powerline and called 911. “[They] told us to go west and follow the sun,” she said. They also dispatched a unit from the Fire Department, as well as an ambulance, to assist the students. After climbing a steep incline, the Fire Department unit arrived and helped lead the students back to the road. Firefighters transported the students without shoes on an ATV. Two students received minor injuries from the hike, which were treated by Shelli and assessed by EMTs from the ambulance. The students were escorted back to their cars and made it back to Gardner-Webb around 9:30 p.m. that evening. Kennedy and the other two students were driven back to campus by local homeowners. “We came upon a house, and they let us use their phone,” Kennedy said. “They were familiar with Gardner-Webb, and offered to drive us back. We tried to thank them, but they said ‘we’re just Christians helping Christians’.” The trio arrived back on campus around 7 p.m. Adventure Recreation at Gardner-Webb has more upcoming events that occur throughout the semester, including white water rafting on the Chattooga River September 24 through the 25, horseback riding on November 5, and hikes in the mountains around Gardner-Webb. These events can be registered for at the student activities office in Tucker Student Center. Be the first to comment on "Bad Weather Causes Problems for Adventure Tubing"